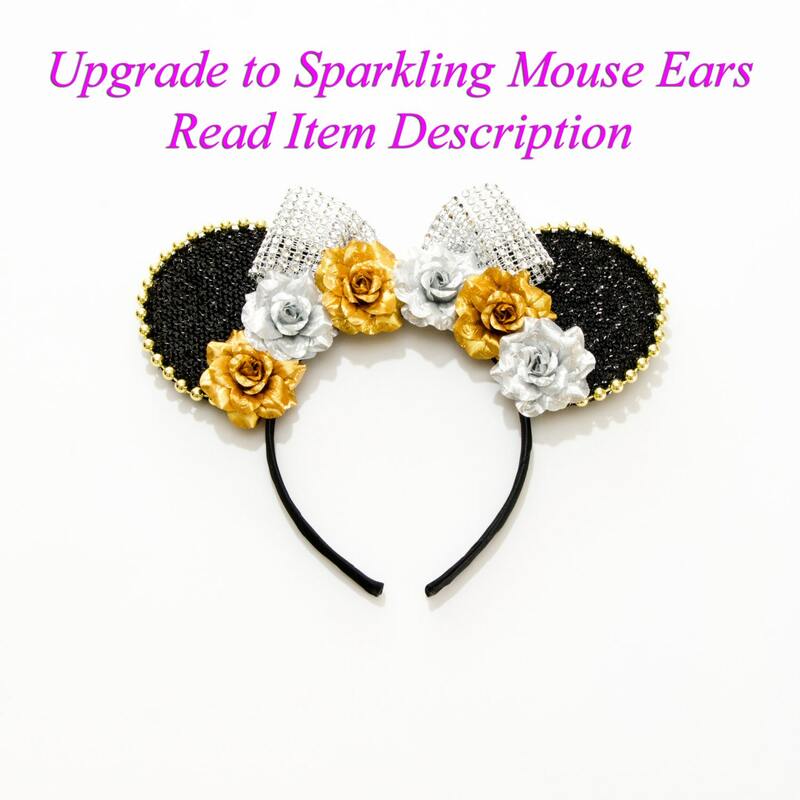 You will adore this Kitty Katrina Daisy Duck Mouse Ears! 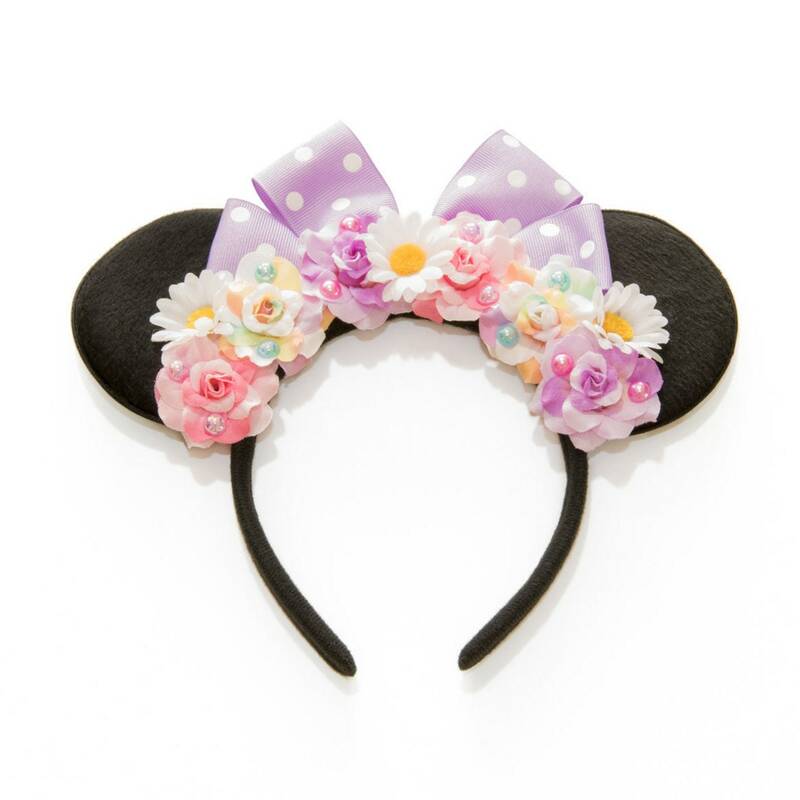 This beautiful headband features a handmade purple and white polka dot bow, along with purple / pink / white / pastel rainbow silk roses decorated with pastel pink / blue / purple pearls and white daisies to resemble Daisy Duck's outfit (see image). 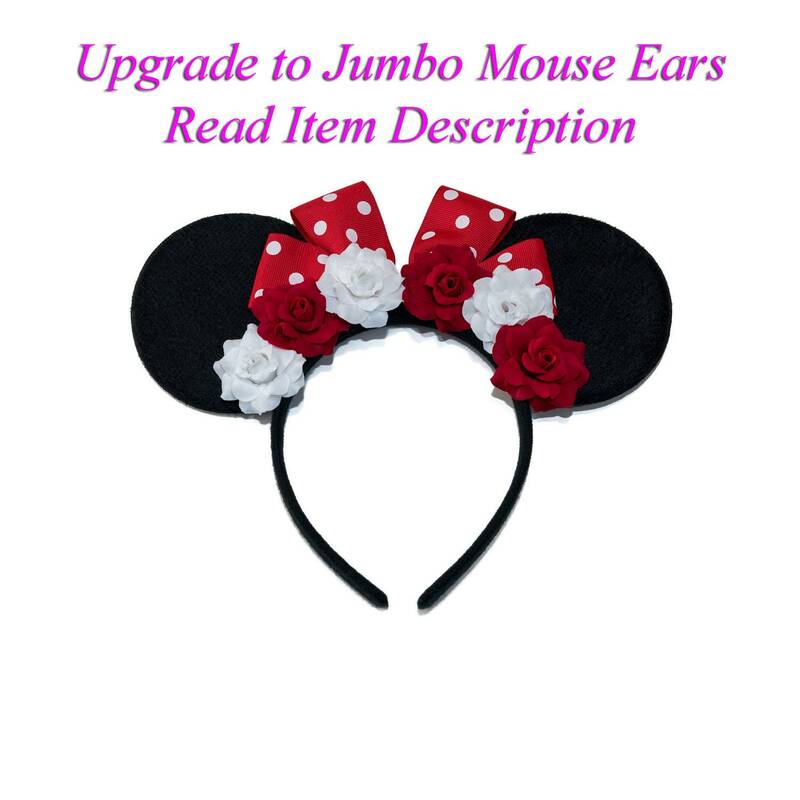 Adorable headband that shipped fast. Love the pins that are included with the daisies. Thank you so much! So cute and comfortable. Can't wait to wear during our upcoming trip!